If something isn’t broken, why fix it? If you’ve been in the beauty industry for a long time and you have had continued success, it can be hard to see why you should look into offering your clients something new or different. However, by not offering new services, you could be missing out on not only providing your clients what they need, but also an increase in revenue. Today, on the Hairskeen blog, we are going to dive into why it’s important to continue to provide your clients new and exciting services. It can be daunting when you are thinking about offering new services for your salon: you have to balance the initial investment with the possibility of a return. However, it’s not just about the money. You may think that you are offering your clients everything that they need. However, are you really? In some cases, you may be unknowingly losing out on truly meeting your client’s needs — your clients might not even know they are losing out. However, as their stylist, providing your clients a need they didn’t even know they wanted can solidify your relationship with them and increase their confidence in your ability to help them look and feel their best — making them a client for life! Even in smaller towns, there are at least a few competing hair salons vying for the same client’s attention. So how do you set yourself apart? 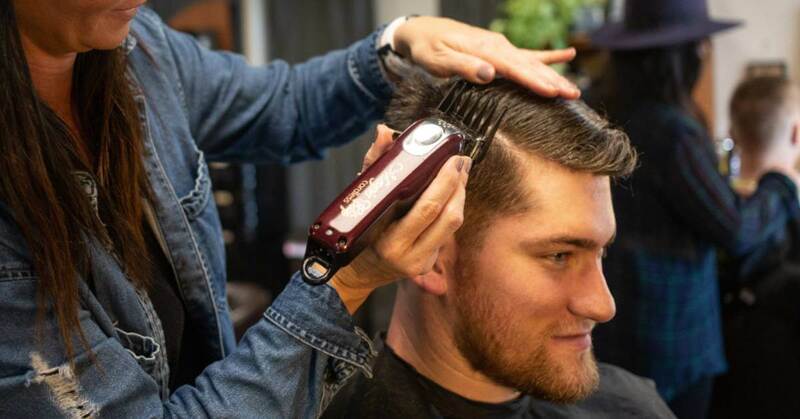 Of course, offering your expertise, an easy-to-use scheduling system, as well as complimentary beverages are all great ways to win over your clients who haven’t made the commitment to you as their hairstylist. But, what’s the next step? Offering new, innovative, and perhaps, non-traditional services that your clients can’t find anywhere else. Offering new services also helps to create an exciting environment and a means to show your clients that you truly do offer the best services and products on the market. Offering new services may even excite the clients that may not even benefit from that particular service. In a culture that is increasingly fascinated with “persona” and selfies, clients are looking for salons and spas that can offer them the best and the most cutting-edge treatments so they will look their best both on and off their online profiles. Many men are looking for ways to stay young and to cope with hair loss. Though there can be a lot of factors at play that can affect a man that is balding, often it is out of their control. By offering them innovative hair replacement services, you can not only give them a modern means to look good, but also to help them feel confident again, and keep them as your clients — if they are lacking in hair, they may no longer see going to the hair salon as a need. Learn more about what hair replacement services you can provide, as well as the resources Hairskeen can provide you on our website!